Peranakan is a blend of two cultures where the people are ethnic Chinese but culture and language are predominantly Malay influenced. The term “Peranakan” is known as “Local Born” or “Local Descendants”. 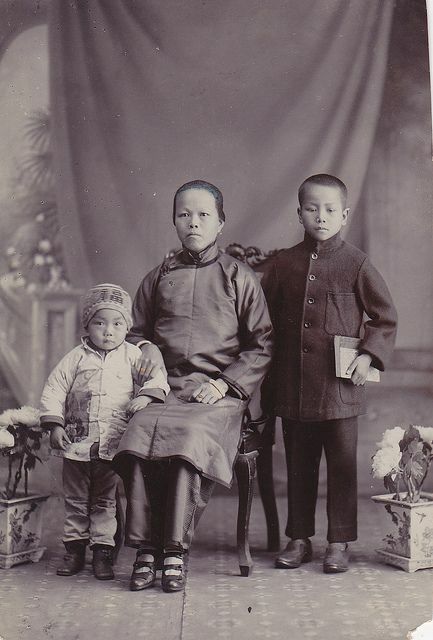 Chinese communities who settled in SouthEast Asia adopted the term Peranakan to distinguish themselves from the new immigrants, whom they referred to as Sinkeh (new guest), or in Indonesia, as totok (migrant). Male descendants were known as Babas and females descendants were known as Nyonyas. Senior females are known as Bibiks. Besides their Chinese beliefs, they also adopted local indigenous lifestyles. Giving birth to unique practices of the Peranakans and even their own variation of the Malay language called Baba Malay. The term “Peranakan” is most commonly used among the ethnic Chinese for those of Chinese descent also known as Straits Chinese, there are also other, comparatively small Peranakan communities, such as Indian Hindu Peranakans (Chitty), Indian Muslim Peranakans (Jawi Pekan) and Eurasian Peranakans. A large part of Peranakan customs comes from traditional beliefs inherited from their Chinese ancestors. Their strict observance of these beliefs sometimes supplants even the Chinese themselves. 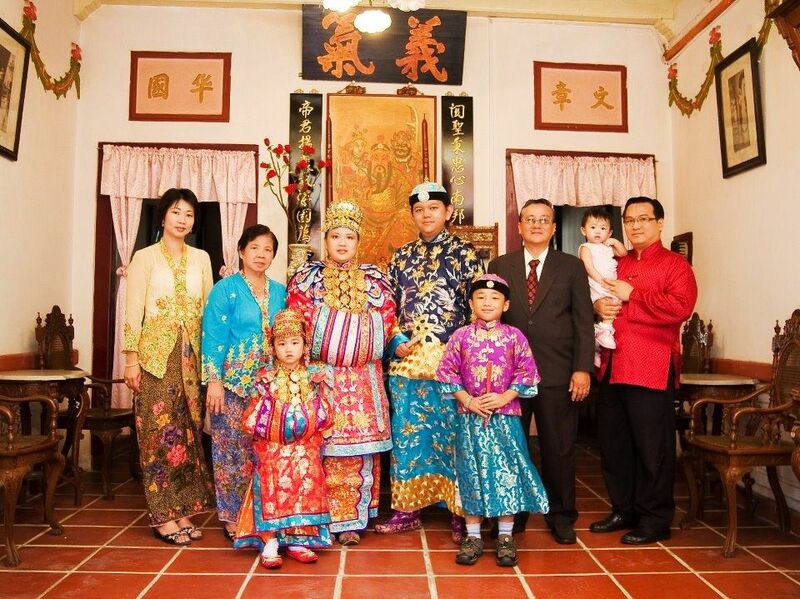 The family unit is an important facet of the Peranakans. They can be found living under one roof much like their Chinese counterparts. The true feature that defines the Peranakans is their ability to embrace modern thinking. Unlike the traditional Chinese who is in the past, favoured male offspring, Peranakans deemed both sons and daughters equal rights to the family fortune. Peranakan or Nyonya Cuisine comes from the Peranakans, descendants of early Chinese migrants who settled in Penang, Malacca, Singapore and Indonesia inter-marrying with local Malays and combines Chinese, Malay and other influences. A typical Nyonya Kitchen would not be without condiments like turmeric, ginger, galangal, shallots, chives and shrimp paste. Lemon, limes, tamarinds, green mangoes, citrus leaves and coconut milk are also used to up the epicurean experience. Examples of Nyonya specialties include otak otak, a popular blend of fish, coconut milk, chilli paste, galangal, and herbs wrapped in a banana leaf. 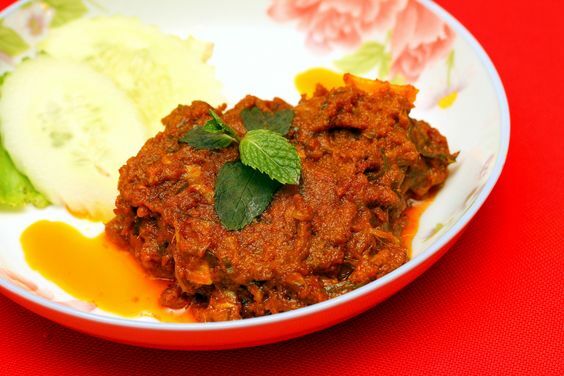 Ayam Buah Keluak, a distinctive dish combining chicken pieces with nuts to produce a rich sauce. Itek Tim, a classic soup containing duck, tomatoes, green peppers, salted vegetables, and preserved sour plums simmered gently together. Peranakans culture shares great nostalgia and significance to our local communities in Singapore, and is an attraction for many of our foreign visitors who wish to discover and experience the unique Southeast Asian culture. 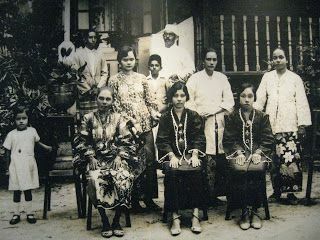 The Nyonya’s clothing, Baju Panjang (Long Dress) was adapted from the Baju Kurung. It is worn with a batik sarong (skirt) and 3 kerosang (brooches). Peranakan beaded slippers called Kasot Manek were a hand made with much skill and patience: strung, beaded and sewn onto canvas with tiny faceted glass cut beads (known as Manek Potong) from Bohemia. Traditional beaded slippers often have European floral subjects, with colours influenced by Peranakan porcelain and batik sarongs. They were made into flats and bedroom slippers. In Indonesia, the Peranakans develop their own kebaya (aka Kebaya encim). They are commonly worn by Chinese ladies in Javan Coastal Cities with significant Chinese settlements. It is different from the Javanese kebaya with its smaller and finer embroidery, lighter fabrics and more vibrant colours. They also developed their own batik patterns, which incorporate symbols from China. Culture, P. and profile, V. (2017). ^ Peranakan Culture ^. [online] Originofperanakan.blogspot.sg. Available at: http://originofperanakan.blogspot.sg/2010_07_01_archive.html [Accessed 3 May 2017]. En.wikipedia.org. (2017). Jawi Peranakan. [online] Available at: https://en.wikipedia.org/wiki/Jawi_Peranakan [Accessed 3 May 2017]. En.wikipedia.org. (2017). Peranakan. [online] Available at: https://en.wikipedia.org/wiki/Peranakan [Accessed 8 May 2017]. En.wikipedia.org. (2017). Peranakan cuisine. [online] Available at: https://en.wikipedia.org/wiki/Peranakan_cuisine [Accessed 8 May 2017]. Kim Choo Kueh Chang. (2017). 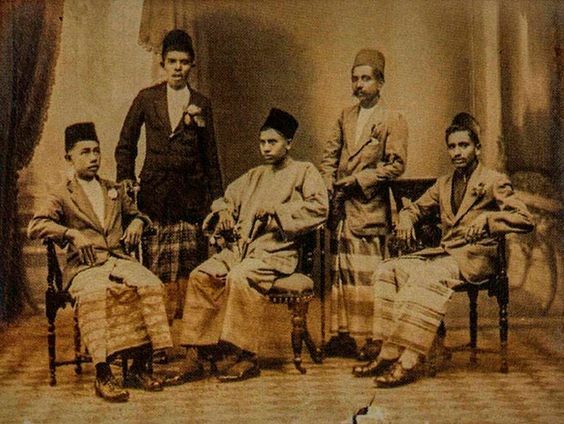 Who are the Peranakans?. [online] Available at: https://www.kimchoo.com/who-are-the-peranakans/ [Accessed 3 May 2017]. National Library Board, S. (2017). Peranakan (Straits Chinese) community | Infopedia. [online] Eresources.nlb.gov.sg. Available at: http://eresources.nlb.gov.sg/infopedia/articles/SIP_2013-08-30_181745.html [Accessed 8 May 2017]. Traditions, T. (2017). The Straits Chinese House: Domestic Life and Traditions. [online] Areca Books. Available at: http://arecabooks.com/product/the-straits-chinese-house/ [Accessed 3 May 2017].